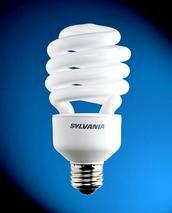 CFL light bulbs! There just doesn't seem to be any way to get these on the cheap! Our landlady is constantly complaining that we should turn off lights because the electric bill keeps going up (we're pretty energy conscious and we are pretty sure it's her equipment that's causing the surge in use) so we are trying to convert to all cfl's. 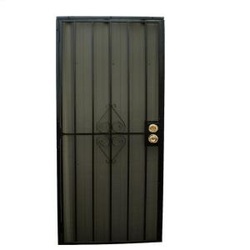 A used screen door or metal security screen door . I will try to get dimensions, but I think it will be fairly standard! My bedroom has a back door which I would love to open to help cool things off on the hot days, but I can't because I have an indoor only kitty! Our landlady's indoor/outdoor cat was recently killed by stray dogs who got into our yard and I am not taking any chances! Curtain rods Recently we got some cheapies, but it would be nice to have some pretty ones! My windows in particular are big (I'm in a converted mudroom/porch) and let all the cold and heat in so at some point I would love to have double curtain rods! 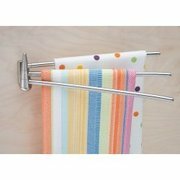 Smaller rods or loops to hold hand / kitchen towels We found some inexpensive towel rods that hook over your drawers but they didn't work very well. 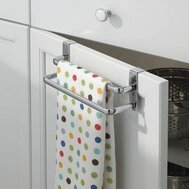 We could use a couple that actually can attach to the wall and/or cabnitry for hand/dish towels in our kitchen! Maybe you're remodeling? A bed tray Nothing Fancy. 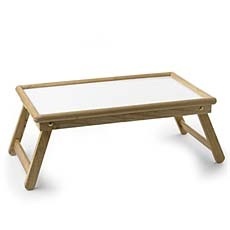 I end up in bed a lot due to health problems so having a lap desk I can use for eating, writing or with my laptop would be awesome! One more use for little decorative towel rods: I used to have two little pretty towel bars in my room that I used to hang bracelets and necklaces on. I could use something similar for organizing again! Cinder block bricks- I have a makeshift headboard which is actually a table and I need the bricks to stabilize the legs. 2 would probably do it!